Sell Your Vinyl or CD’s? Posted on August 17, 2017 by . 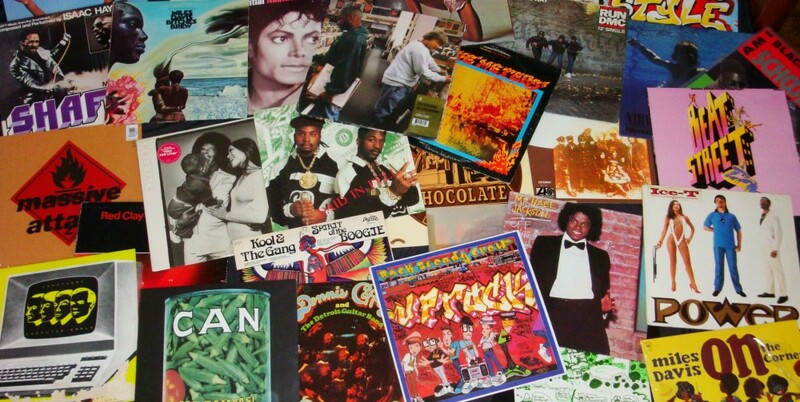 This Saturday will see two pop up Record Fairs in St Kilda! Get down and have a dig and enjoy the St Kilda vibe. 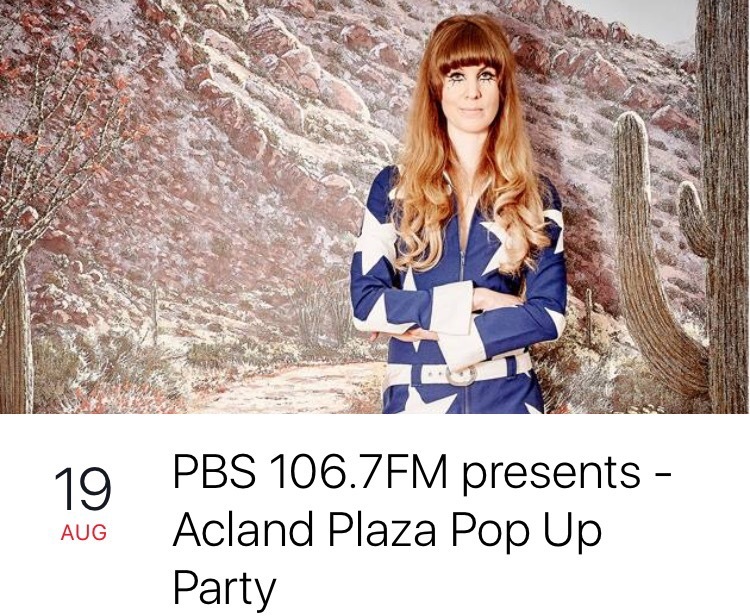 You can start at Pause Bar and then hi head on down to the PBS Pop up fair in Acland St where there’ll be music, food and vinyl. 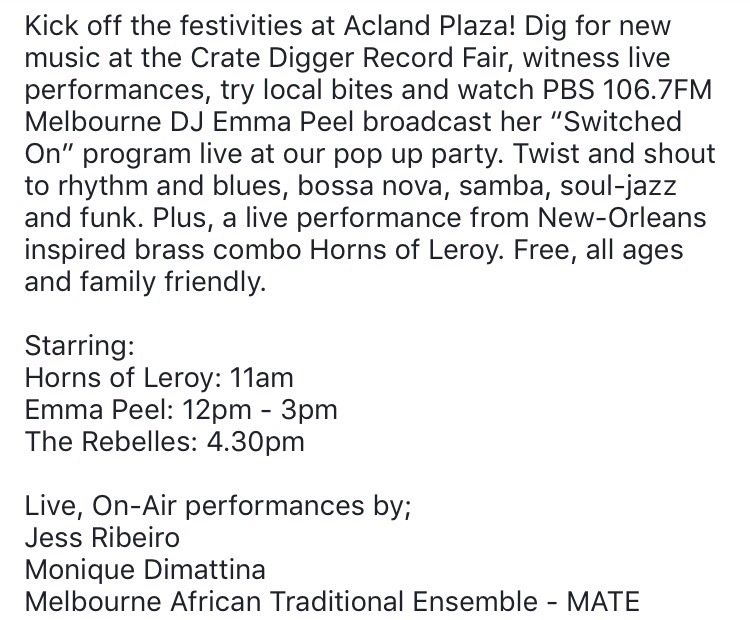 Emma Peel will be hosting her radio show ‘Switched On’ live from the PBS / Crate Digger Record Fair in Accland Street Plaza. Posted on January 2, 2013 by . 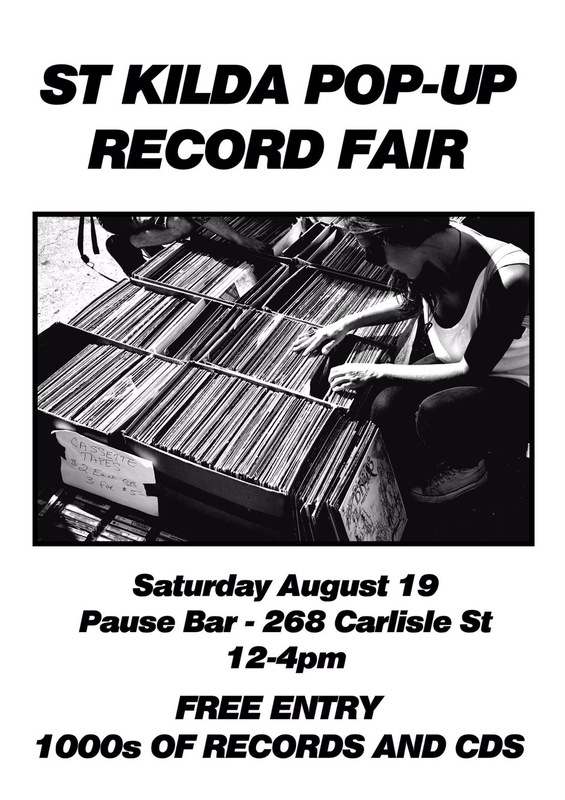 “COME DOWN AND HAVE A DIG THROUGH HEAPS OF RECORDS AND COLLECTABLES, WATCH SOME MUSIC AND HAVE A BEER !